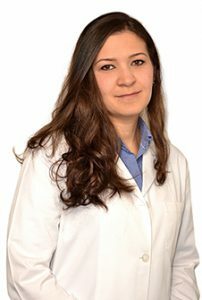 Dr. Suzanna Al Maali graduated in 2010, obtaining her DDS degree from the University of Jordan in Amman. In the year 2011, she was accepted into the highly competitive Orthodontics and Dentofacial Orthopedics program at the American University of Beirut and has since been practicing only Orthodontics. During the challenging 3 year clinical residency program she had the opportunity to provide orthodontic care for over 150 patients including growing children, adolescents and adults. She simultaneously obtained her Masters of Science (MS) degree in Epidemiology and was one of the main investigators involved in a large research project assessing the oral health and malocclusion of private and public school children in Beirut. Dr. Suzanna completed the clinical residency program in 2014 and has since been treating patients in private practice in the UAE. She has special interest towards the early intervention and prevention of developing bite problems and the treatment of complex adult malocclusions.